The Movember Foundation chooses Exclaimer Cloud – Signatures for Office 365 to centrally manage its Office 365 signatures and promote its fundraising efforts. Exclaimer Limited, the global leader in email signature management solutions, today announces that renowned global charity, the Movember Foundation, has chosen Exclaimer Cloud – Signatures for Office 365 to manage its organizational email signatures. This gives the Foundation the opportunity to use the oft-neglected email signature channel to raise awareness of its cause and encourage people to make valuable donations. Many organizations fail to take advantage of using email signatures to promote important marketing and event information. Every email sent by an employee can become a promotional opportunity if high-quality HTML banners are utilized within a corporate email signature. However, it can often be difficult to manage signatures for every single user without a third-party management product due to the native limitations of using Office 365 Transport Rules. This is one of the many reasons why email signature management tools like Exclaimer Cloud – Signatures for Office 365 have increased in popularity over the years. A 14-day trial subscription of Exclaimer Cloud – Signatures for Office 365 is available at www.exclaimer.com/exclaimer-cloud/signatures-for-office-365. The Movember Foundation is the only charity tackling men’s health on a global scale, year round. By 2030, we will reduce the number of men dying prematurely by 25%. The Foundation funds game-changing men’s health projects. Millions have joined the movement, raising $770 million to help us fund over 1,200 projects focusing on prostate cancer, testicular cancer, mental health and suicide prevention. In addition, our Awareness and Education program is encouraging men to become more aware of their health, to talk about the big stuff in life, and take action when health issues arise. Our fathers, partners, brothers and friends face a health crisis that isn’t being talked about. We can’t afford to stay silent. We have one goal: to stop men dying too young. 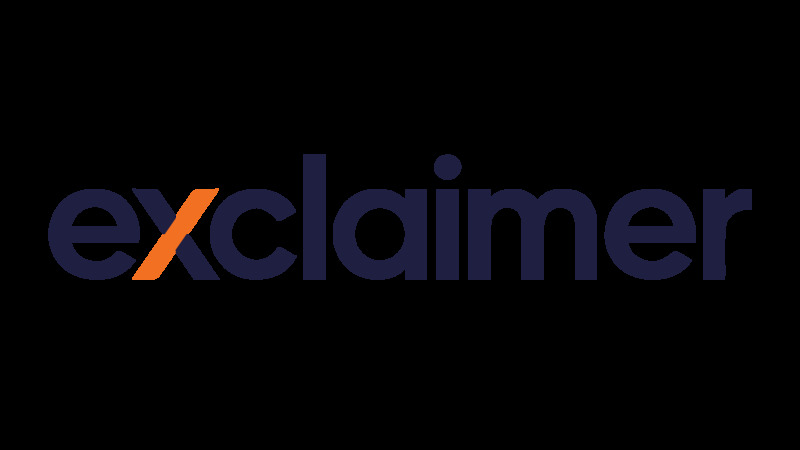 Founded in 2001, Exclaimer is the recognized global market leader in on-premises and cloud-based email signature software and solutions for Office 365, Microsoft Exchange and Outlook. It has over 50 million users worldwide with some companies holding licenses for over 100,000 users. Its diverse customer base includes renowned international organizations such as Sony, Mattel, 10 Downing Street, NBC, the Government of Canada, the BBC and many more organizations of all sectors and sizes. Exclaimer solutions are regularly recommended by Microsoft MVPs (Most Valuable Professionals) and have a strong reputation within the Microsoft community. The company has been the recipient of multiple awards within the IT sphere, has won a Queen’s Award for Enterprise and has successfully achieved the ISO 27001:2013 Certification for its cloud-based Office 365 signature management service. Exclaimer is exhibiting at Google Cloud Next '19 - San Francisco! Exclaimer is going to Microsoft Ignite: The Tour!